Fun, scripted journals are not typically the type of thing I buy for myself; however, that does not mean I have never wanted them. I just felt a little silly treating myself to this type of thing. So, when Blogging for Books generously offered a review copy, I jumped at the chance. 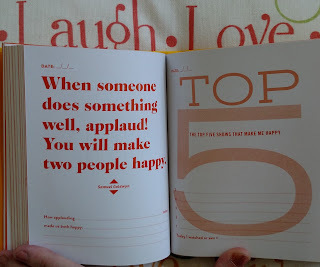 And, you know what the Do One Thing Every Day That Makes You Happy journal showed me? 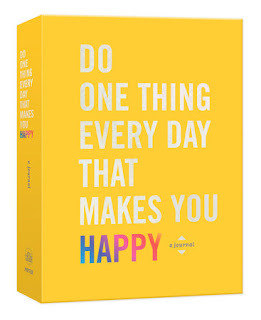 I should have just bought the cute journal for myself because it makes me happy! Treat Yo' Self. This bright colored journal is a compact size, but it packs a big punch. 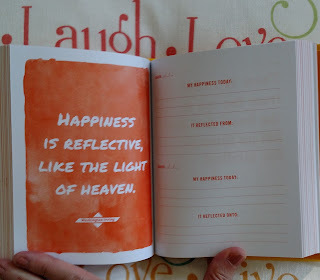 As a firm believer that we can change our attitudes by showing gratitude, this journal is an easy reminder that we are in charge of our outlook. 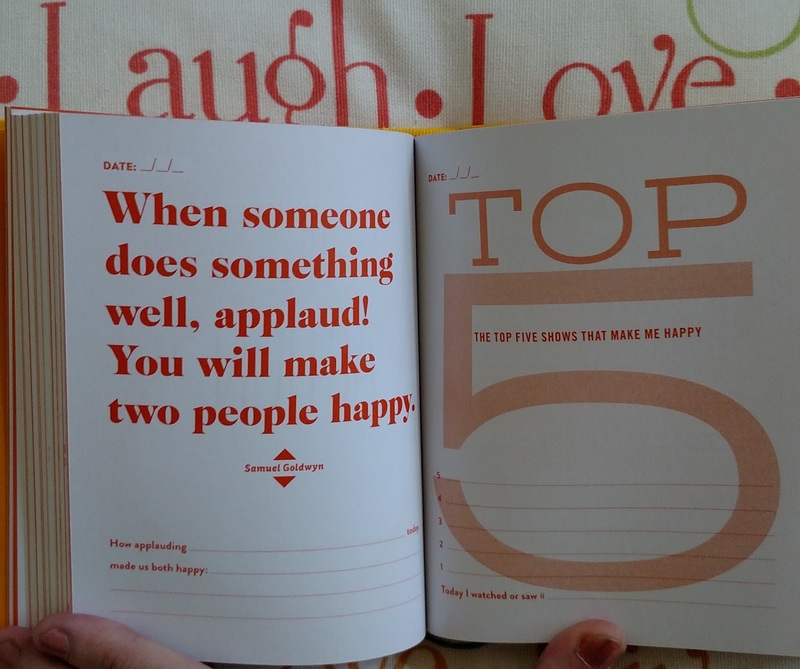 By helping the writer think about one thing every day that filled him/her with happiness, it reminds the writer to stay positive. Filled with inspiring quotes and thought-provoking short writing prompts, it is an effective tool for seeking the positive in each day. But, if I am to be honest, my favorite prompts were the ones that included lists. I am a list lover. So, I am happy to find there are several pages for lists, such as your Top 5 songs, Top 5 books, Top 5 shows, etc. I also loved the pages where you were prompted to use some creativity to draw something or think outside the box. There are some things that are not traditional for a journal. First, you are prompted to do tasks (i.e., smile at someone in a restaurant), so it cannot simply be filled out in the evening before you go to bed. Additionally, the journal has space for you to fill in the date, but it seems like it will be easier to jump around rather than go through the journal page by page. Finally, I am looking forward to using this journal in the new year alongside my family. I think it has excellent prompts for discussion around the dinner table. Now that my son is journaling, I think it will be a tool he can use as well. For those needing a helpful tool for staying positive in these turbulent times, this journal is a great choice. It is fun, and you may even find it helps you change your attitude. I received this book from Blogging for Books for this review. You can purchase the book from Amazon here or by clicking the image.